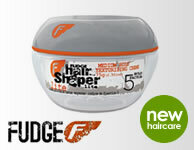 American Crew Tea Tree Firm Hold Styling Cream is great for men of all hair lengths and types. 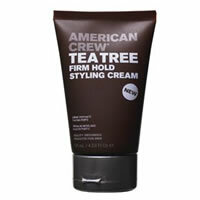 American Crew Tea Tree Firm Hold Styling Cream provides substantial control and added texture. It is lightweight for the finest hair yet offers conditioning benefits for thick or coarse hair, the more you use the more hold and definition you can attain. Pulls through hair easily without clumping. Water based so it isnt greasy and washes out easily. With a low shine finish for those that dont like a lot of shine or for fine or thinning hair.